Christmas is just around the corner. 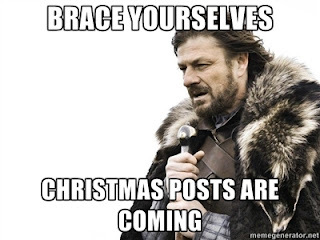 Hearing Christmas songs being played everywhere and seeing Christmas decorations in different private and public places has made me realize it is coming. Yes, it is indeed beginning to look a lot like Christmas. Despite the hot weather that is making me feel like it is summer here rather than the fact that December should be rather cold. I just don't feel it. It is not like we are in Australia or anything but I guess this is quite normal already considering that snow hasn't started to fall in Korea anyway. Yesterday, I found out that we will be starting with our so called office Kris Kringle which will happen every Monday of the week. I like Christmas and I should be pretty excited about receiving gifts and giving them but somehow, I don't feel so sure this year. This will be the first year that I would be doing this once again at work and somehow I am anxious. This week's codename theme has something to do with Gay Lingo or Gay Spluhk as they call it. Since I only know a few words and expressions and don't intend to learn more by heart, I only chose a codename that I often use. I don't know if it would be easy to guess but I gave it because I didn't want to fuss over it. Later, I will be picking out a name of who my monita will be. I don't know the theme for Monday yet but I am hoping that it won't be something difficult to look for. Meanwhile, I still haven't put up any Christmas decorations in our room especially because of the fact that we will only be staying in our current apartment until the end of January or the first week of February. We will be moving to my parents' home in Antipolo after that. But for the spirit of Christmas, we might just put Christmas lights outside our home by this week or the next. I used to be a Santa in our home when I was single. I bought almost everyone a gift. I carefully picked each gift and even lovingly wrapped them in different designs. I put name tags on them so that they won't go astray and arranged them underneath the Christmas tree. I was even in charge of giving them away at our annual family Christmas parties. I got good gifts but I felt happier giving gifts away. 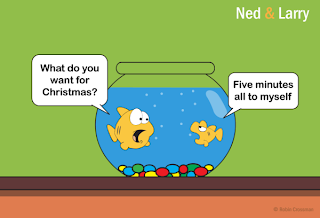 To me, Christmas is a time for giving. Too bad that tradition couldn't be kept after I got married. Although I still gave presents to some people, I was not able to give everyone anything. I felt bad because of it but it was a sign that my money cannot be spent only on gifts for everyone. Now that reality has hit me, I realized that there are other things that I should be alloting my money for. Like the birthing of my baby next April which is understandable. This year, I want to give presents once again but only to those who I really need to give presents to. I already have one for my husband and my little sister but none for my parents, my in laws, my bestfriend and my godchildren just yet. I hope that before that actual day comes that I can provide them with something no matter how simple they may be. I want to be surprised with a gift or some gifts this year. I don't want to do a Christmas list but somehow someway I want to at times because I want to get the gifts that I truly want but that takes away the fun of Christmas, doesn't it? This Christmas I am hopeful will be better than the last one. Finally, I get to be reunited with my loved ones this year. I am excited for that but for now since Christmas isn't here yet, I have to prepare some recycled Christmas decorations for my parents' home. I am not sure how it will turn out but I am hoping for the best. Keeping my fingers and legs crossed for this one. Hopefully, my creative juices will keep on flowing and won't run out halfway otherwise, I'd be really disappointed. Wish me luck! No, I don't want to be by myself this Christmas. That would be too lonely to bear. I just noticed this today on my way to work. 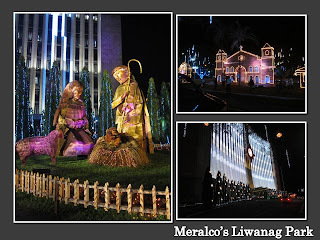 It seems Meralco's Liwanag Park is finally open to the public once again. I have never been there but judging by the pictures, I am sure a lot of people will be flocking the area once again this Yuletide season. Is Christmas truly more fun in the Philippines? I guess so. Here in my country so many people start decorating for Christmas as soon as the so called "BER" months arrive. It is not even December yet and yet there are so many Christmas decorations everywhere already. Not to mention the continuous playing of Christmas songs wherever you go. 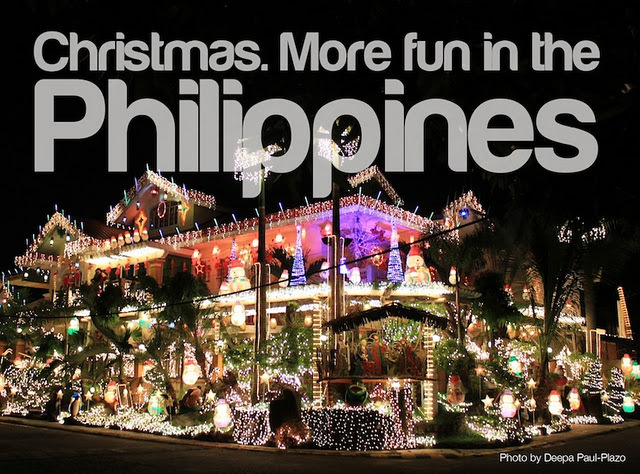 Yes, welcome to the Philippines, where we think that Christmas should last for more than a month.